The 68 Gal. Steel Recycling Station features a heavy-duty construction that resists wear and tear from being outdoors. This heavy-duty receptacle comes fully assembled and ready to install. The steel components receive corrosion protection from a Zinc Rich Primer. The Primer is applied as an Epoxy Powder Coat after the metal components are sandblasted. This is followed by a durable Polyester Powder Finish Top Coat. Both coatings are electrostatically applied and then thermally cured creating a premium look. Backed by a 3-year warranty, this unit is built to last. The GRIZZLY Series Storage Container/Trash Receptacle is easily strong enough to keep out the smaller critters like raccoons, squirrels and rats and will give great results with smaller Black Bears. To meet the requirements of being a Certified Bear Resistant bin you will need to install the included Bear Guard brackets, which prevent bears from being able to grab the lids and potentially bend them. With these brackets the GRIZZLY is able to stand up to all Black and mid-sized (up to 600 lbs.) Grizzly Bears. 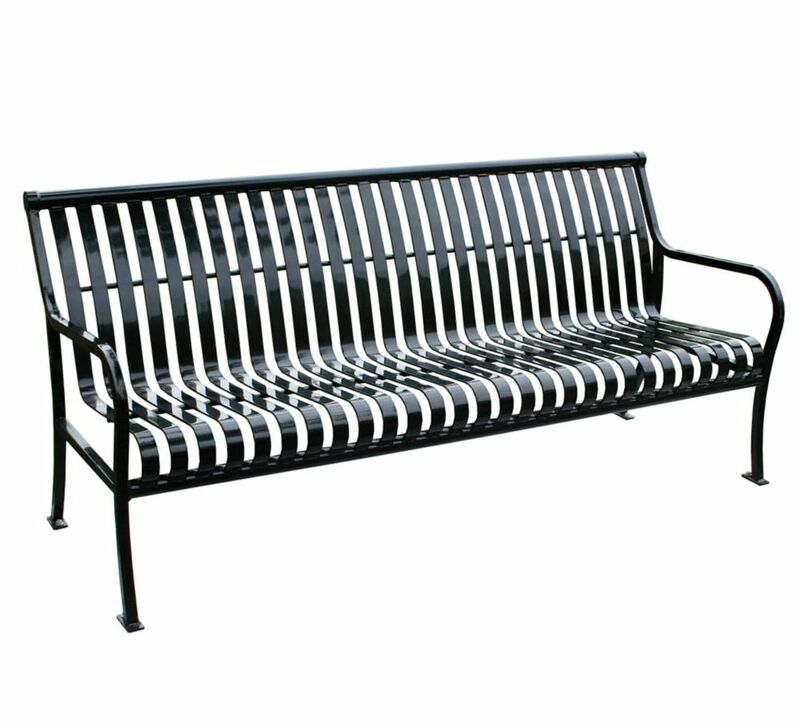 6 ft. Black Premier Bench Paris Premier Benches are a welcome addition to any setting. They provide classic good looks, comfortable contours and rugged durability. The fully welded, all-steel construction means that no assembly is required. The thermally bonded powder coating also assures long-lasting beauty.